Long time ago, Prato, Italy. They used to call him "Cristogol". I'm gonna explain later this. And don't worry about the title "Cristogol si è fermato a Lusaka" (Cristogol ended up in Lusaka), that's just an assonance in italian language with the Carlo Levi's autobiographical novel which was absolutely related to different matters. Fortunately we're just gonna talk about a great sport and life experience in this interview. Who's then Andrea Cristoforetti? Well, italian and international real futsal fans can't have forgotten his name. You will find out more from the following questions & answers but let's provide you with a short introduction. One of the most talented players in Italy, living the unforgettable era of Furpile Prato but not only that. An authentic supporters'idol, for the way he used to live each game in the 40x20 pitch. Technical skills, tactical intelligence and so many goals scored. Yes, that's why they used to call him "Cristogol". But his futsal trip is not over, have a read! Last but not least before you start reading the interview: I take the chance, as he's mentioned in the first answer given by Andrea, to remind the unforgettable (and unforgotten) figure of coach Corrado Roma. 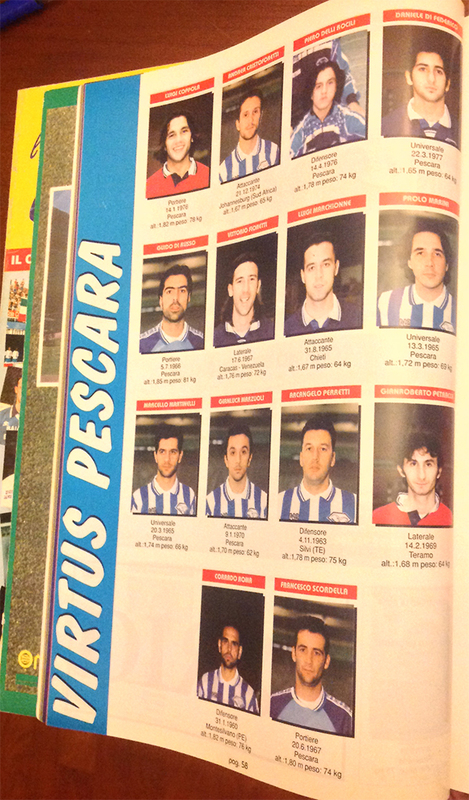 I clearly remember when in the 90's I was having a look at the celeber “Almanacco del Calcio a 5” (Italian futsal yearbook printed at that time). I already knew you as a player for Pescara but my attention was caught by the indication of your native town: Johannesburg. What’s you link with South Africa and why/how have you moved to Italy? My father in 1967 followed his best friend to South Africa and fell in love with the country where he lived with my family until 1981. I was 6 years old and he wanted me to go to school in Italy and decided then to move back to his little town, Fidenza near Parma. 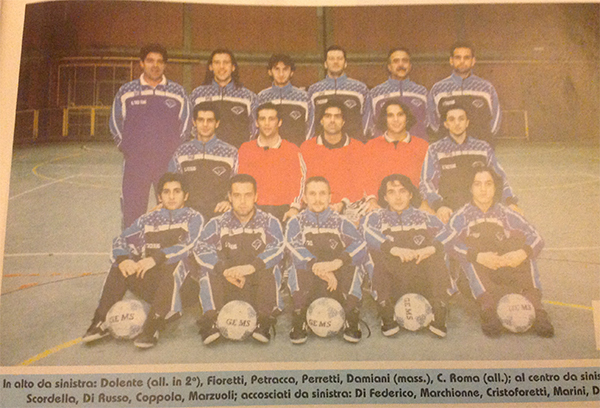 In 1987 we moved again, this time to my mother’s town Pescara and this is where thanks to Corrado Roma I started playing Futsal in the local "Serie A" (first division) club Pescara C5. 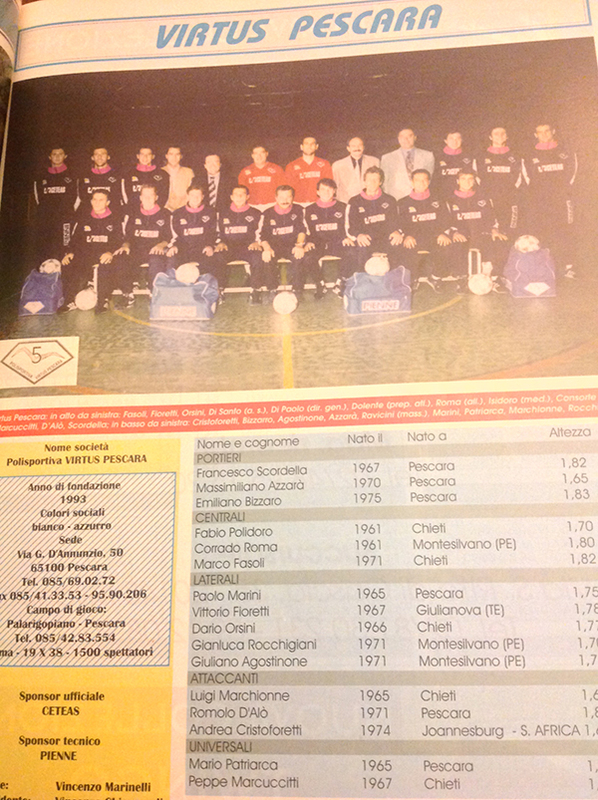 Your memories of Italian (and international in general) futsal in that period: how the game has changed? 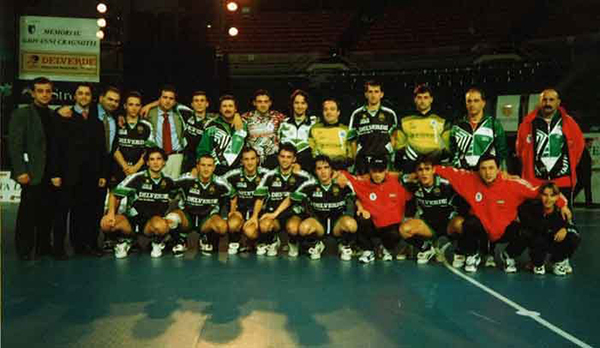 I was lucky enough to start playing futsal very young, in a period where the game used to be played mostly by older players at the end of their football career, I was “the kid” and in front of me I had great players like Marchionne, Marini, Patriarca and Marcuccitti. The coach was Corrado Roma during the very first year of his coaching career. I have great memories of these years, i’ve learnt a lot and I made lifetime friendships with players like D’Alo’, Palusci, Di Eugenio and Alessandro De Barros one of the first Brazilian player in Italy... and what a player! The game has changed tremendously, today it is much more physical, tactically teams are more prepared and the attention for details is higher. In those days a football player, after some training, “could” play or try to play in the Serie A, today I think it would be impossible, at least at high levels. 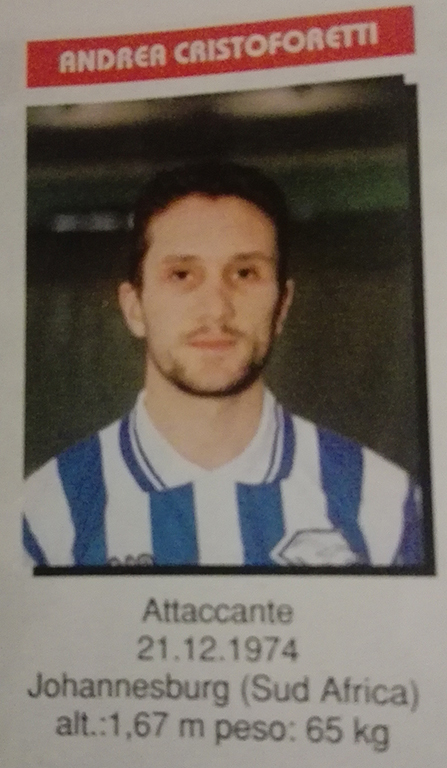 You had great seasons in Pescara and Chieti, as a result this opened doors for the golden era in Prato, when and where you turned into “Cristogol”. Goals, titles and great achievements, including a call for the Italian national team “A”. For Prato was the very first year in Serie A, and I really liked the idea of a new experience going to play and study in Tuscany. There was a lot of excitement around our team and we’ve created a great group of friends, we worked hard but we had lots of fun on and off the pitch, and this made a big difference, the management then every year added to the roster key players and, what today is the best Coach in the World, Jesus Velasco, and in few years we became one of the best teams in Italy. 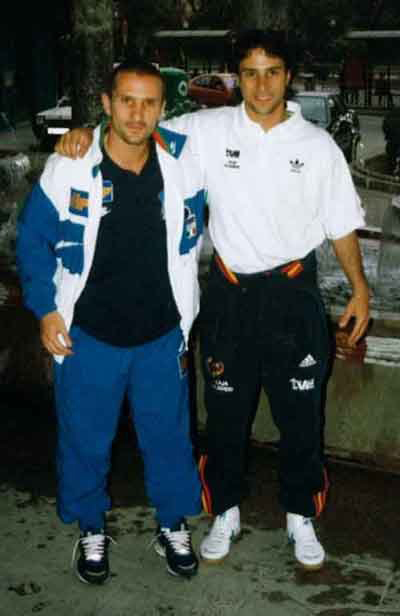 My first National Team call up was for the 4 Nation Tournament in Granada, Spain, it was a dream coming true for me, I was young and my roommate was the legend Massimo "Pippo" Quattrini (I was almost scared to share the room with him, he was the famous one, now we are like brothers) and I had the privilege of playing with players like Caleca, Rubei and many others, I also got to meet international stars like Paulo Roberto, it has been really an awesome experience. 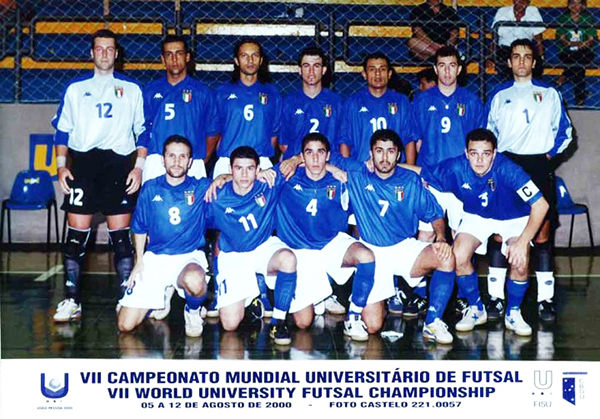 The “University” career led you to an Italian title with Cus Chieti and above all the unforgettable World Cup tournament in August 2000 when Italy just fell to Douglas Pierrotti’s Brazil in the grand final. Another big chapter for your player life, wasn’t it? Yes it was. Cus Chieti for me was a short but very intense and positive experience which led me to Prato; the Italian National Teams “B” and the University one, were very active and it was a good opportunity for the federation to test players at international levels, I had the chance to travel different countries and the Brazilian World Cup held in João Pessoa was a great event. Our National team had players like Foglia, Grana, Franzoi and we played the final in front of thousands of spectators, a breathtaking atmosphere, but Brazil was just too good for us… funny enough Pierrotti and one Brazilian player soon after the World Cup signed up for Cus Chieti. 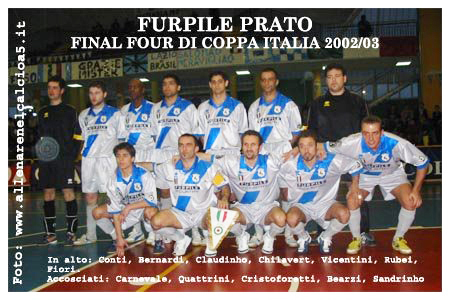 The experience in Prato: can we say that this was the higher point of your career as a player? What does it mean playing in a roster “full of stars” being anyway a key player for club and fans? Also: you have played with some of the best players of the world in that period: do you remember or have you admired someone in particular? 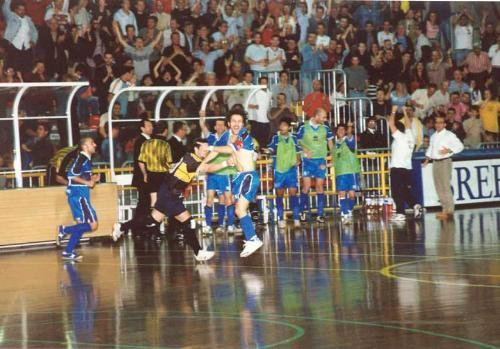 Definitely yes, in Prato there was a lot of passion, the management and the fans helped us in 4 seasons to grow from being a newly promoted Serie A team, to win the Italian Cup (after losing 2 finals), the Scudetto (league title), the Super Cup and reaching the Semi-Final of the Uefa Futsal Cup. I feel very proud and privileged to have played an important role in such a successful journey. I was surrounded by stars but particularly I remember Andrea Bearzi, with whom I’ve had a friendly rivalry, he was and still is so talented, so fast in the small spaces and out of the blue with a crazy skill he would score a goal, just like the golden-goal in the Final of the Italian Cup vs Bnl and from there he became the “Golden-Boy”. I remember Sandrinho and his natural way of dribbling and shooting, he would start guiding the ball with a slow pace with a smile on his face and after a couple of fakes and tricks he would toe-poke and… celebrate. 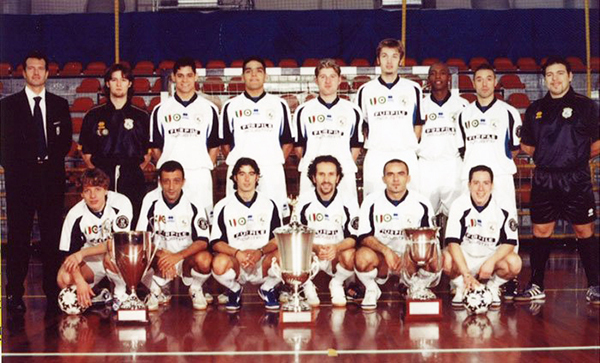 Unbelievably still active as a player, Pippo Quattrini, our captain, was the best team-player ever, so important for us, such a fighter, so powerful, so clever: a real Futsal legend. Carlos Chilavert was devastating, as a last man, one of the best I’ve ever seen, solid in defense but he also scored very important goals with his powerful incursions, when we had problems he would also play in front as a Pivot, unbelievable player. Andrea Rubei, the most elegant Futsal player, best Italian player of all time, it was just a pleasure watching him touching the ball and has been a privilege to play with him, another futsal legend. You then spent some season in the lower Italian divisions with San Michele, Piemonte C5 and Geraci: how do you evaluate the last part of your trip as an active player? Did you enjoy playing as well after conquering everything with Furpile Prato. After the golden era of Prato, I had a few different offers and I decided to follow Pippo Quattrini to San Michele in Serie A2 were we found some old teammates from the first years of Prato like Coccia, Moro and Di Giosio, the team was a strong team for the A2 League but unfortunately, we didn’t do too well arriving only 6th. Going back I would probably try to play at high levels longer and I have to admit that the last part of my carrier was not as exciting as the rest, by this time during the last two seasons with Piemonte Torino and Geraci Firenze I’d already decided to move back to South Africa. You came back to South Africa: family matters or a life choice? How is life in Johannesburg also in comparison with the “Italian” one? It was a life choice, after the season with San Michele, I went with some friends, including Quattrini and Coccia, for a road trip in South Africa and we stopped in a beautiful little town on the Indian Ocean called Plettenberg Bay, surrounded by nature with long white sand beaches and surfable waves. Just too beautiful! Me and my wife needed a change so we decided to give it a try and the next holiday we went back for a month, after that month we decided to move there permanently. The life style is very different from the Italian one, in Italy I was living in a town where as Plettenberg Bay is a village, with a slow living attitude, no stress, dinner at 6 and long walks on the beach. Even in South Africa your passion for the game didn’t vanish. On the opposite you helped the local FA setting up and training the national team, as well as the sport development: how was this new experience? It has been a short challenging and interesting experience. I had the opportunity to work in a different environment with a different sport mindset, from which I’ve learnt valuable lessons. I had been called by the federation only few weeks before the second round of the 2012 World Cup Qualifiers, with very little time to work with. Most of the players were playing together for the first time, had no international experience and no tactical knowledge of Futsal but the group was passionate and united, we’ve managed to win vs Zimbabwe (5-3 on aggregate) but we lost the third-round vs Libya (10-4 on aggregate) coached by Pablo Prieto an experienced team, too strong for us, who qualified for the World Cup. I could see a lot of talent and great potential in the country, a unique opportunity because in the rainbow nation you can really find players with completely diverse characteristics and skills. But Futsal is a highly tactical sport, and the growth can only happen with a long-term program, competence and consistency, and this is the big problem of many African Federations, they only start working few months before a competition. The African turning point: from South Africa to Zambia. 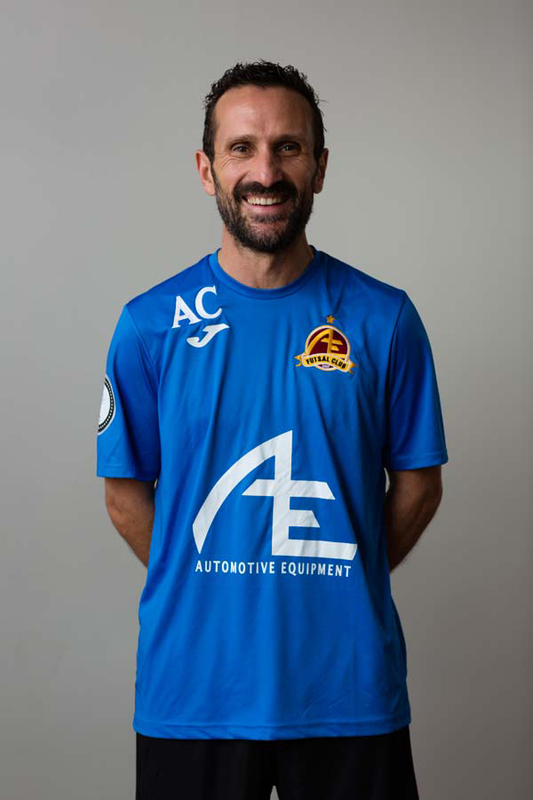 In 2015 you have started a new chapter with Automotive, as head coach of the first team and director of the club which includes an academy for children. 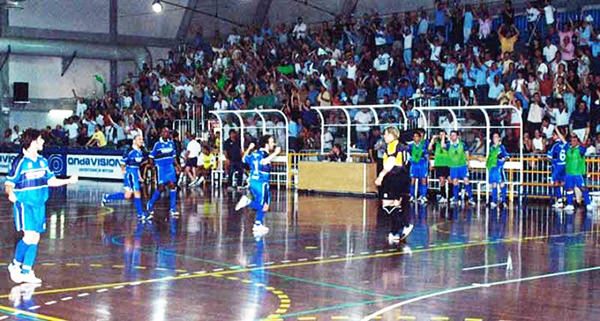 Recently Automotive won the Zambian play-off title, with games broadcasted live on the web. All this exposure and work for African futsal sounds great: can you tell us more? When I’ve been called for a meeting with Mr. Tarak Mehta, the chairman of the Automotive Futsal Club, I have been lucky enough to share with him the same vision and dream: the development of Futsal in Africa. In Zambia I found a structured league that was running for 10 years, many people in Lusaka actually knew about Futsal, and I understood that the conditions to work there were concrete. When the Chairman of the Club asked me: “what can we do to grow the sport?” my first answer was: we need to play indoor and we need to focus on the youths. Today after 3 years we have built our own indoor facility, we are busy building a hostel to accommodate players and teams, we have the senior team with an average age of 23 y/o the B team with players from 16 to 22 y/o and the Academy with players under 8/10/12 and 15. The mission of the Club is to develop individuals first, and futsal players after, and through Futsal and sporting values to give them an extra opportunity to succeed in all aspects of life. It is a long term project that I’m really privileged to be a part of, we are proudly affiliated with Movistar Inter Futbol Sala, the best futsal team in the world. Specifically we are part of the programs ”InterAmigos” and “InterEsculas” a collaboration that is based on two aspects: sport and social reasonability. Most of the Zambian players never really played indoor, and now with our new facility players are familiarizing with the space and the surface, which makes it a completely different game, and the idea of our Club is to prepare the 1st Team to be able to compete internationally, and for this reason we plan regular trips abroad exposing the players to international standards of Futsal. We had a successful tour in the United Arab Emirates last March and in September, with the help of our technical director, the Italian coach Roberto Coccia, we will be touring Italy, playing a series of friendly games with teams like Acqua&Sapone, the Italian Champions, and the newly promoted Civitella, but will also be playing with teams of lower divisions giving our boys the opportunity to gain International experience playing with teams of different levels and styles of Futsal. We‘ll also be participating in the “Memorial Alessandro Giglioli” in Poggibonsi, an International Tournament organized by the Serie B Club Piccinini Wine Poggibonsese with 4 Italian teams and one French team. Also, you have helped the national team in the past World Cup Qualifiers. How do you evaluate the current level of African futsal in terms of “game” and organization as well. Is it improving or still facing major troubles to stop it? I think that the level is still low, in the 2016 World Cup Qualifier and Africa Cup I was expecting the North African teams like Egypt, Morocco and Libya who started playing Futsal many years ago, to be stronger with a more developed game. There are some new Nations that are growing, like Mozambique who qualified for the World Cup, Angola and recently South Africa, all Nations with a regular indoor league. Our Zambian National Team arrived 4th ,losing the spot for the World Cup on a penalty shootout vs Mozambique, but the truth is that the Team was not familiar with the big indoor pitch and all the tactical and technical implications that such a pitch requires. Now with the new Zambian Indoor League, the players are definitely improving, getting used to the speed of the ball and the size of the pitch. 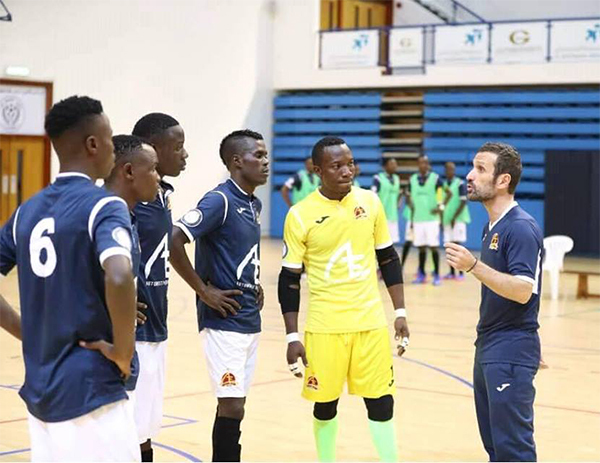 In my opinion, the gap to play a high standard of Futsal is still big, and again, the major problem for most of the African Nations is the consistency in their activities and for coaches there is not enough time to work. Just imagine that the last game of our Senior National Team was played on the 24th of April 2016, since then, there has been no activity whatsoever, in this way it is impossible to grow. Even though I’m seeing slow little improvements, the African Futsal is still facing major troubles, and it’s a pity because this Continent is full of talent. Do you see your future life in futsal? My goal is to promote and develop Futsal and I hope to be able to do this for a long time, Futsal has been a big part of my life for many years. If your passion becomes your job you are a privileged person and undoubtedly I feel like one. What do you hope for the future of the game? 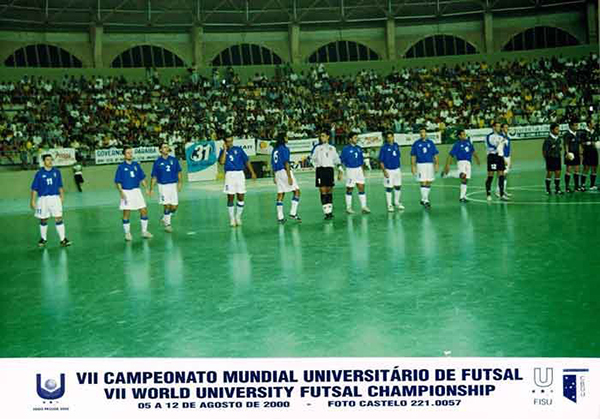 I realized that many people, including myself, use football as an advertising tool for Futsal, and I’m hearing more and more people in the Futsal world saying: ” you must play futsal because it will make you a better Footballer, look at the three best footballers in the world, they’ve all played Futsal in their youth!”. It seems like we need to say this to legitimize our sport. People should rather say: ”play Futsal because is the most beautiful and spectacular game of the world”, and you actually only need to watch a good live game to realize this. Even though they are some elements in common with football, our game is a completely different sport and should be recognized as such. I’m happy to see new countries developing the sport and I hope for Futsal to see a constant growth and the final well deserved recognition, I wish to see a league of the caliber of the NBA, because this is what Futsal deserves.